As part of writing Bhai Sahib's biography I learnt that his nana ji Sardar Mukand Singh Nagra from the village Behbalpur (Hoshiarpur district) was part of the Babbar Akali movement during the 1920s and had participated in the Jaito Morcha in 1925 (top picture) in defiance to the British government (1858-1947) as part of the 'Free India independence' movement. Sardar Makhand Singh was, devout Gursikh and upheld righteous lifestyle. 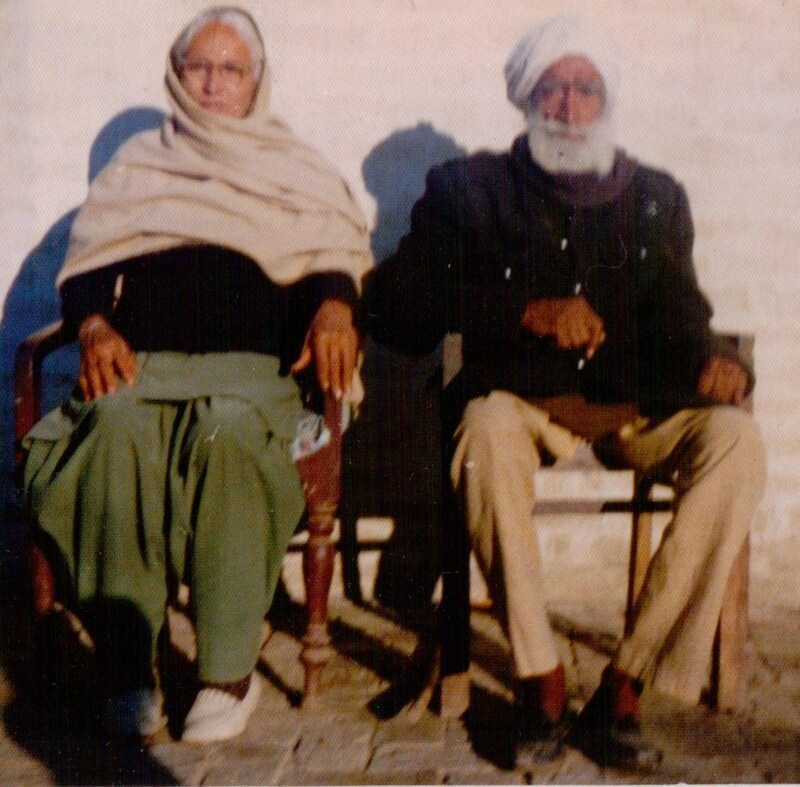 he joined the Babbar Akali movement and became a freedom fighter. The Babbar Akali movement was a reform movement of Sikh gurdwaras during the early 1920s. The British government declared them an unlawful association and started to persecute this group, where my great grandfather spent 6 years in the following jails: Rawalpindi, Mintgumri, Jullandhur and Hoshiarpur. Sardar Makhand Singh was from the same village as one of the key leaders: Sardar Dhanna Singh (Behbalpur) and provided him with food, shelter and money when the police were searching for him. After 1947 india independence, he was offered 25 acres of Land in Rajistan for his role in Indian independence movement, however he declined this offer as "he did not want to put price on his sacrifice", however he accepted the 'Tamar Patra' medal. He passed away in 1984.